Sint and his helpers took the boat back to Spain and that means only one thing for all the Christmas lovers: the Christmas tree may be decorated! So go go go, to the attic or storage, because those lights and ornaments from last year must still be somewhere. And now that the moment is finally there, we won’t do any half work. No tree from the supermarket or garden center, but a real Christmas tree that you get at the old-fashioned Christmas tree farmer or flower-turned-into-Christmas-tree-shop. 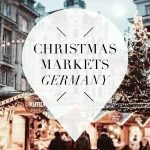 You won’t find those cozy Christmas vibes anywhere but here. Therefore, a tribute to the authentic Christmas tree dealer! Willem de Zwijgerlaan / Admiraal de Ruijterweg: It’s the flower shop that’s open every day (!) of the year and the place where grandfather, father and son will help you find the perfect Christmas tree. Feeling hungry? Next to all the Christmas tree you find the donut (and oliebollen) stall! Cornelis Troostplein: Also on the Cornelis Troostplein in De Pijp you find the golden combination of Christmas trees and donuts. Flowerist Klaas helps you to get in the Christmas mood and decorates the square with cozy lights. Haarlemmerplein: Every year again the flower stall on the Haarlemmerplein transforms into a Christmas tree stall where many Amsterdammers buy their tree. From the Spaarndammerbuurt to the Staatsliedenbuurt, this is where they go. Nieuwmarkt: Behind the Waag on the Nieuwmarkt the Christmas trees are lined up waiting for a new home. From small ones to huge ones! Westerdoksplein: the men of kerstbomen.nl sell their Christmas trees not only online this year, but also on the Westerdokplein where you can park very well, on the Vijzelgracht (in the center) and on the Stadionplein. 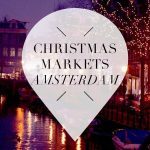 Extra tip from a loyal follower: there’s also a Christmas tree stand at Marie Heinekenplein that sells beautiful trees! 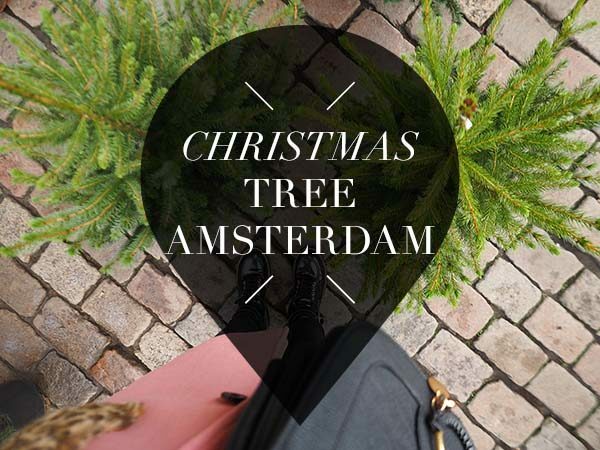 Do we miss your golden tip for a real Christmas tree in Amsterdam? Let us know in a comment! TIP: discover more Amsterdam and travel tips in my books THE AMSTERDAM CITY GUIDE & WANDERLUST!